When I first moved to L.A. (about 8 years ago) I worked as a buyer at a vintage clothing store. Sometimes you'd get lucky and get to buy from an interesting 1980's showgirl with cool costumes or an old woman with amazing beaded 20's things. On rare occasions the seller would surrender something that they thought you would like ( for free- to keep without the boss knowing). 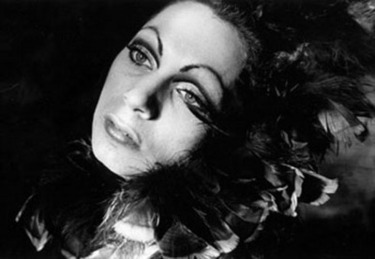 My favorite day burned into my brain as a buyer---was the day Holly Woodlawn came to sell her frocks. She had all kinds of 80's dresses, some still with shoulder pads intact. I recall that the manager that day told me to pass on most of them becaue they were "hard sells". There was one lilac one that was bedazzled on the shoulders with rhinestones and wrapped across the front. She said it was from the days at Studio 54. I held it for awhile and admired it's condition considering all of the adventures it had endured. As she packed up her things she paused and said "Here you can keep it since you seem to like it so much." 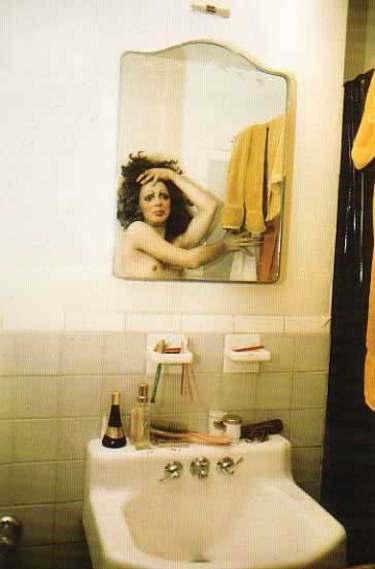 Last week I watched the amazing documentary about the COCKETTES, in which Holly Woodlawn has one of the best lines. It made me wonder where did that name come from anyway? SUMMER 1969: HOLLY GETS A LAST NAME. HOLLY chose WOODLAWN as her last name while watching an episode of I Love Lucy with SILVER GEORGE, PETER and some other friends while high on speed. In the TV episode, Lucy was riding on the subway with a loving cup stuck on her head. In the background of the subway was the word Woodlawn as Lucy was supposedly riding the 'Woodlawn' train - a train to the Bronx with it's final destination being the Woodlawn Cemetery. "It is Rosalind Russell in Auntie Mame. Whenever I am depressed I play that movie and when it is done I feel fabulous. My favorite scene is the morning after one of Mame’s parties and Vera opens the window and exclaims “Oh, that moon is so bright!” And it was the sun! I would be dead if not for that movie."